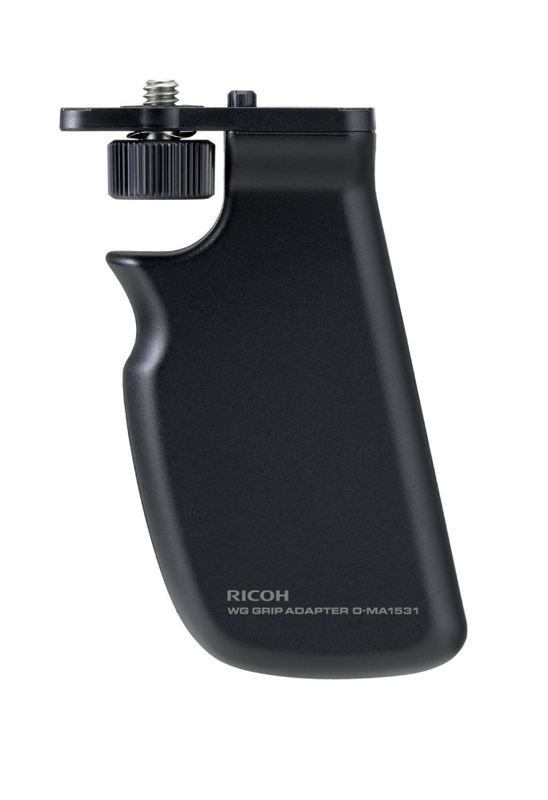 The Ricoh O-MA1531 grip adapter provides a solid grip of the WG-M1 camera which enables you to shoot one handed with confidence. Compatible with the Ricoh WG-M1 action camera. Can also be used with the Ricoh WG-4 series cameras when used in conjunction with the Ricoh O-CH1470 WG Holder mount (not included).